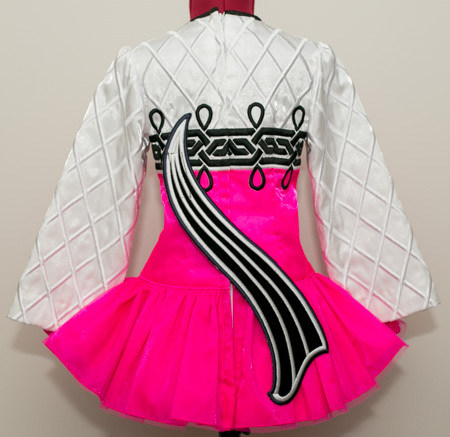 Centre front dropped waist to hem: 5¼"
Centre back dropped waist to hem: 7¾"
Total back length (top of zipper to hem): 23¾"
White twinkle satin bodice yoke and sleeves with white and black embroidery design. 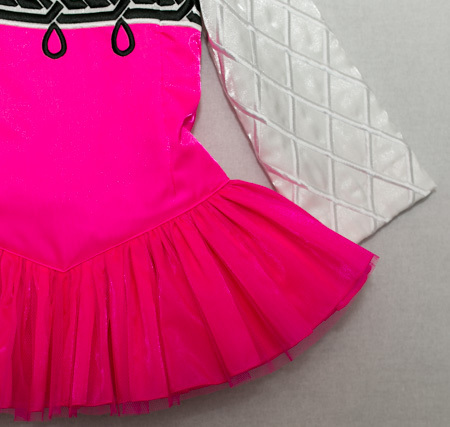 Modern extra dropped waist tulle skirt constructed from vibrant fluoro pink twinkle satin with matching pink tulle overlay. Petite modern style asymmetrical black and white shawl. 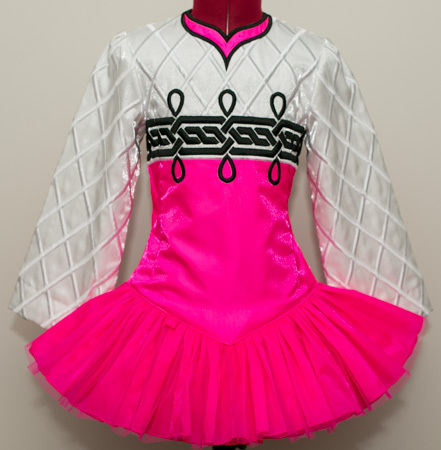 Pink, white and lime green striped underskirt lining.